To enter use the rafflecopter widget below. Make sure to complete all entries to have your best chance at winning! The giveaway will run for a week and I will email the winner once it ends! Good Luck! This outfit is simply lovely! I love the floral scarf it looks lovely with the earrings! 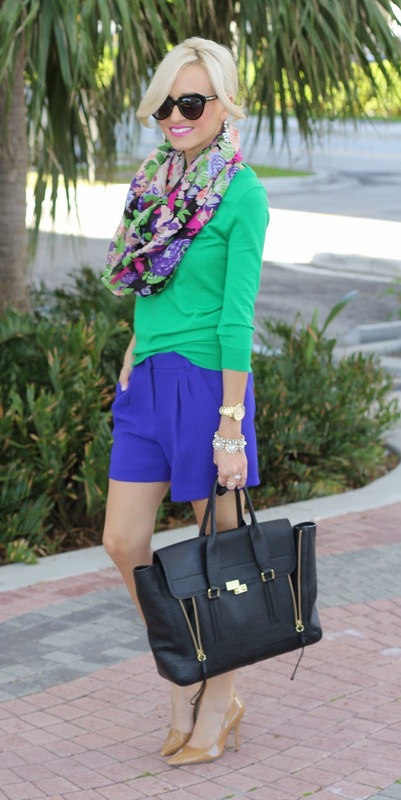 Love the blue and green paired together! Looks amazing! Love this look! Those J. Crew shorts are so cute! beautiful look! love these bright colours! This color combo is stunning! Definitely something I'd wear in the summer. Love adding a scarf for color too! The weather here has been gorgeous, but today is dreary again. Waiting for the sunshine to come back! 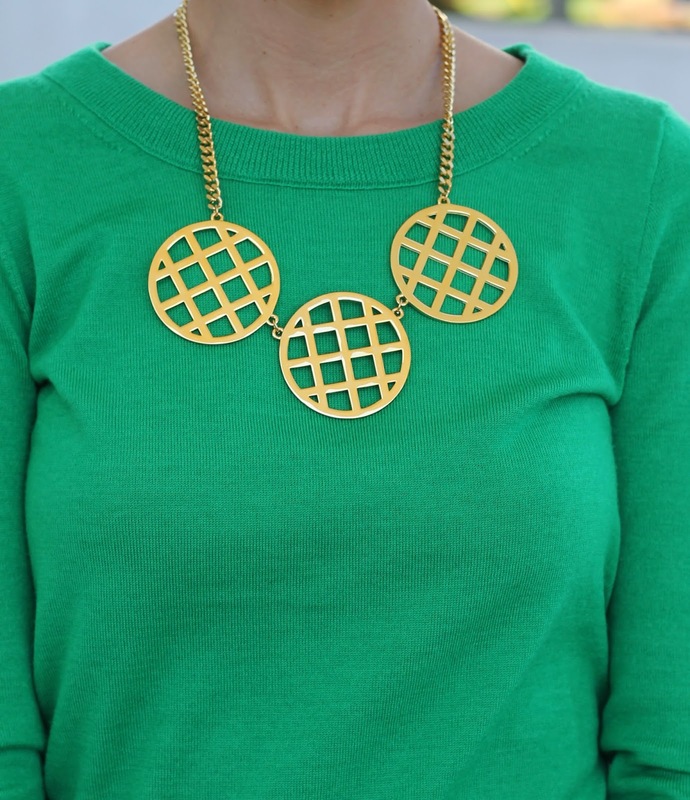 Obsessed with any green and blue combo, and this one is perfection! You look gorgeous as always! 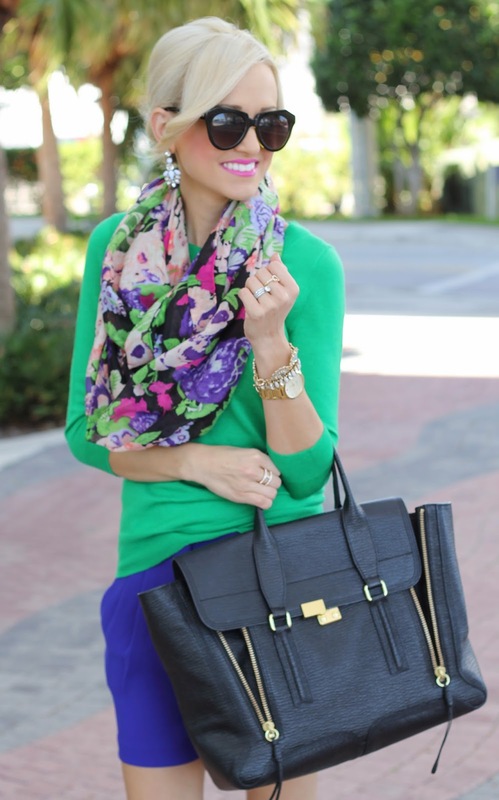 Love this colorful look! You look fabulous as always! I'm so jealous of your weather! I can't wait to start wearing shorts and fun colors. I tried on those J.Crew shorts and LOVED them! I bought a pair of tangerine ones instead, I'm going to wear them when I'm in Florida next week- hope the weather is nice! Thanks for always being a inspiration, Jade! I love this outfit! Those shorts are SO cute! 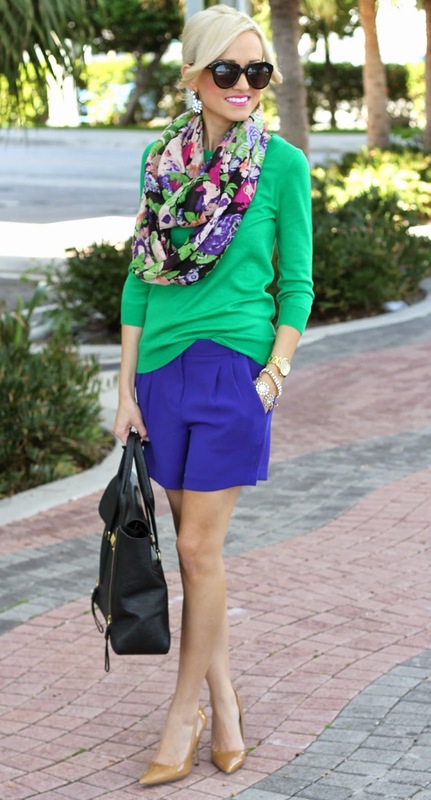 Love the pleated shorts, they look great with the scarf + sweater combo! I've been wanting a pair like this for spring! I love all the gorgeous colors in your look! That scarf is fabulous!